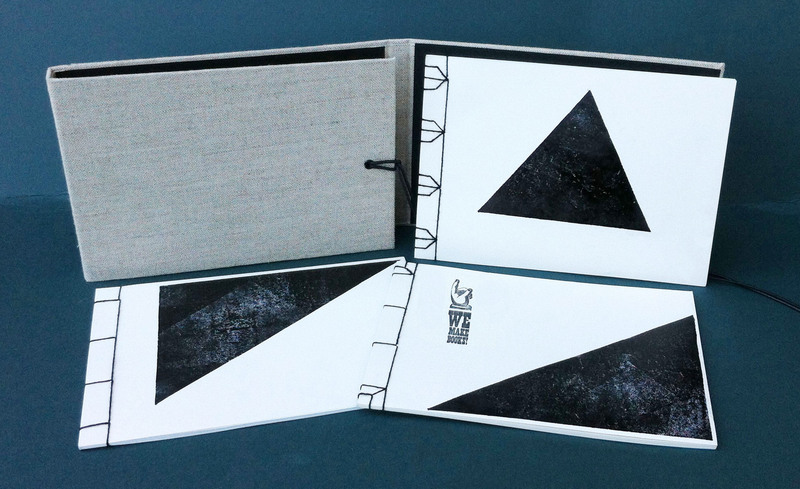 Japanese Bindings & Wraparound Case – WE MAKE BOOKS! In this workshop participants will have the opportunity to make three handmade books using different Japanese sewing techniques: the 4-hole binding, the noble binding and the tortoise-shell binding. We will also be making a traditional bookcloth covered wraparound case that folds up to enclose the books. Japanese stab binding is a great method of binding together single pages with your artwork or writing or making beautiful sketchbooks and notebooks. All materials will be provided and no previous experience is required.